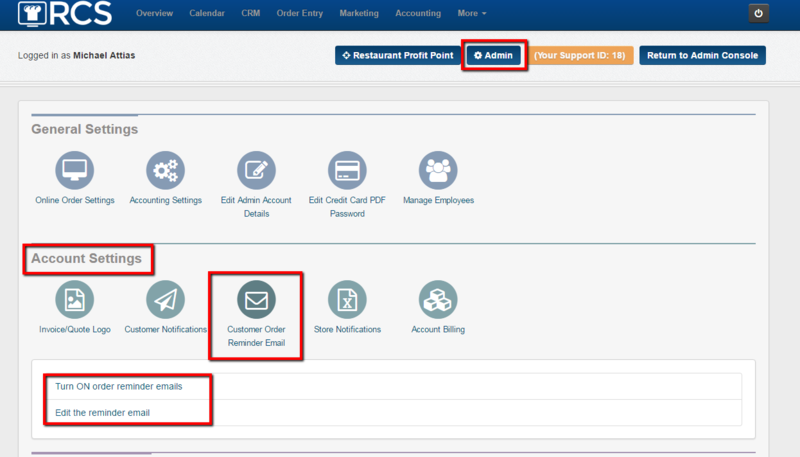 This article will show you how to turn on an email that will be sent to your customer approximately 24 hours before their order. The emails are sent out the day before the order at 10am Eastern time. 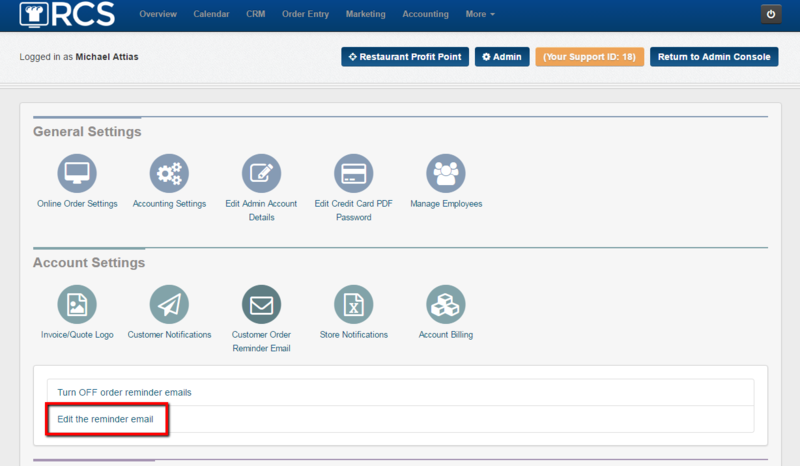 1 - Click on the Admin tab and look for the Account Settings section and then click on the Customer Order Reminder Email bubble. Then you will see 2 links appear: Turn ON order reminder emails and Edit the Reminder email. 2 - By default the reminder is not set to send. If you would to have this email sent you will need to click on the Turn ON order reminder emails link. Once you click the link it will change to say Turn OFF order reminder emails. Once you see this link then your email reminders WILL be sent. 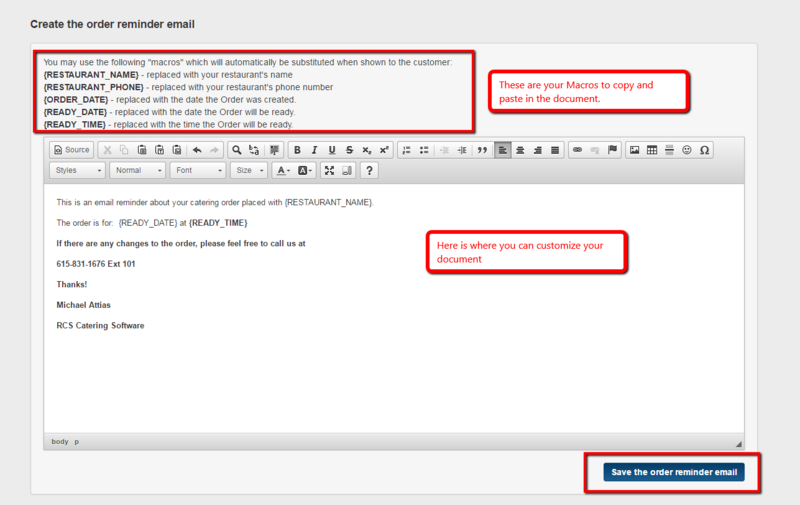 3 - If you would like to edit the message that is sent reminding the customer of their order you can click on the Edit the reminder email link. 4 - Once you click on this link then a word doc page will appear where you can change the default email. 5 - You can then add in your message. Please note you can add in 5 types of macros by copying the Macros you want and then clicking right click your mouse and paste it inside the word doc. Don't forget to save your changes. 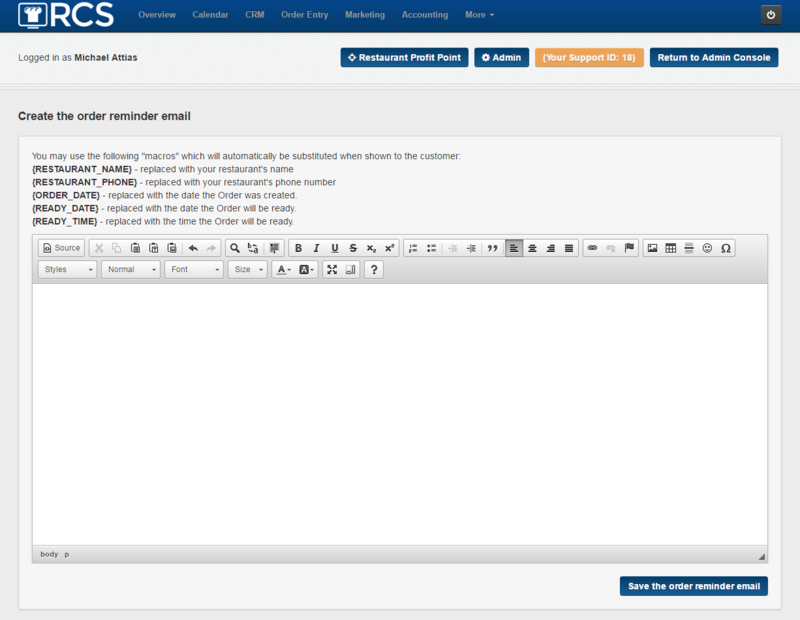 You have now customized your customer reminder email.